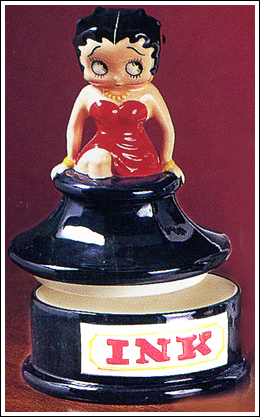 Did you know that Betty Boop sprang full grown (though in a slightly different form) from an inkwell? Well we have that inkwell, but in a miniature version. This tiny (measures 3” high), but adorable hand- painted, porcelain clasp box, opens under the inkwell rim.